Celebrated with great fervor in Rajasthan’s hill station Mount Abu, this is a colorful festival to relish in the winter season the otherwise hot state. The main element of this festival is a large fair for local artisans to showcase their works. 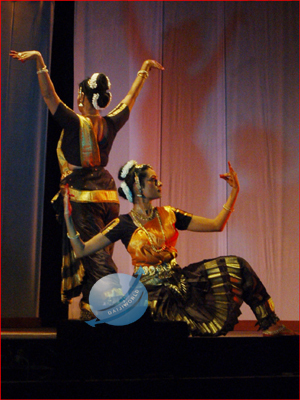 In addition, you can find many cultural activities and attractions during this festival. If you are looking for a destination that also offers adventure time, this is the right festival to take part in. Take a trip to Mount Abu, Rajasthan right in time for the festival. Fair conducted for handicrafts and handlooms. Don’t just end your vacation with the festival alone. Explore Mount Abu to have a complete vacation in the hills of Rajasthan. You can smell festivity in the air and devotion on faces because it is the festival of Eid after the month long fast of Ramzan! Observed annually by Muslims worldwide as a month of fasting (sawm), Ramzan is followed by the entire Muslim community in order to get closer to God and to remind them and live the life of the less fortunate ones. Did you know that the word Ramzan comes from a translated version of Ramadan, which is derived from the Arabic root ramida or ar-ramad, which means scorching heat or dryness ? Because the time right now is of peak summer and that makes this fasting even more difficult and challenging to follow. Though Ramzan is followed and celebrated in all the areas of Jaipur, the festival’s real sheen is seen in the walled city, especially Ramganj Bazaar. The market was named Ramganj after Maharaja Sawai Ram Singh II who was the one to bring modernization in the architecture of Jaipur. The name Ramganj, Ram + Ganj (meaning area) reaffirms that this area is the soul of the city as it houses the oldest mosques that smoothly blend in the wise architecture of the walled city of Jaipur. Along with a plethora of mosques, the city’s most authentic Mughal cuisines are found in Ramganj Bazaar and the nearby lanes (galiyan). Ramganj Bazaar is equivalent to the Char Minar of Hyderabad & Jama Masjid of Delhi. But how exactly do they go about the fasting? Every Muslim, mostly after he/she turns 12, considers it their farz (duty) to fast during Ramzan but are excused in case of special circumstances like illness, pregnancy, travel etc. Ramzan is the ninth pillar of Islam and is practiced in reverence of Allah. The month generally consists of 29-30 days depending on the visual sightings of crescent moon and all the followers follow the timetable of Mecca. They eat before 4 a.m. and post that, they don’t eat or drink anything throughout the day, including water. The meal that they have in the morning is called Sehri. As the day proceeds, they recite namaaz at mosque (masjid) in the evening and at around 7:15 i.e. after sunset, they open their fast with something natural like fruits, dates (khajur), milk, water – basically anything which isn’t cooked over fire. Dates are popularly eaten to open the roza for their distinguishing quality of providing instant energy after a day full of fasting. The meal served in the evening is called Suhoor or Iftaar. 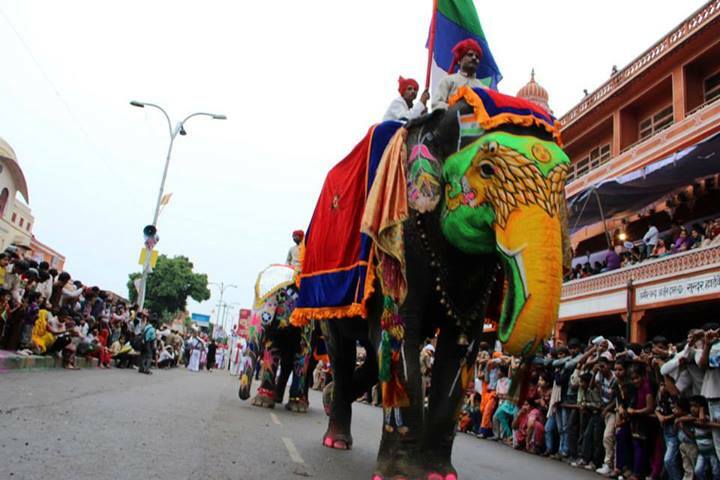 Are You Ready For The Rajasthan Day Celebrations? 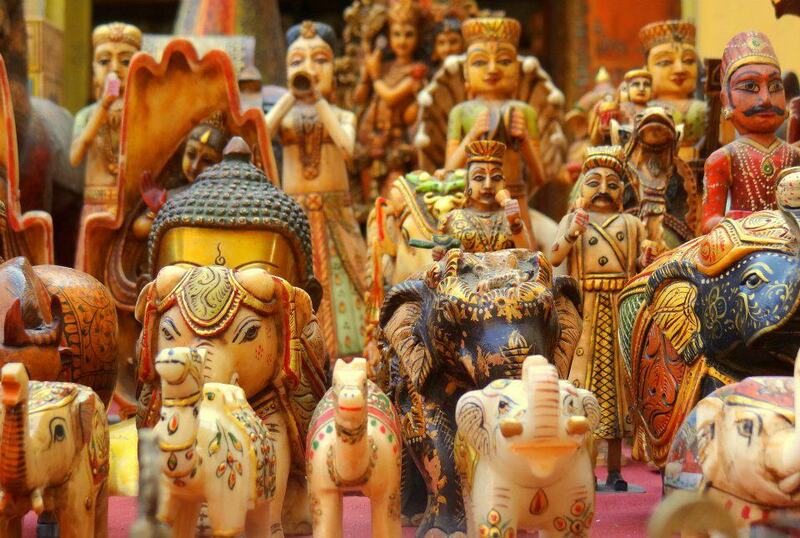 It’s that time of the year again, and Rajasthan is gearing up for a series of annual fairs and festivals that draw a large number of visitors from across the state as well as the country and abroad. From last week of this month till the year end, Rajasthan will play host to a series of social, religious, and cultural festivals, including the world-renowned Pushkar Fair in Ajmer. According to Director of Rajasthan Tourism Vikram Singh, a large number of tourists – both domestic and international – attend the fairs which are held in the tourism season after a hiatus of two-and-a-half summer months. The department organizes the fairs, along with local bodies. 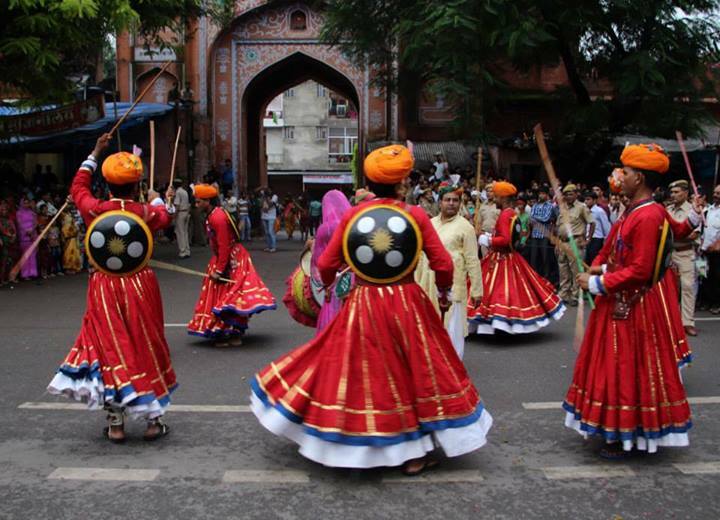 At the end of this month, the traditional Teej Festival will kick off with a royal procession meandering through the old walled city. The procession which starts from the City Palace engulfs the entire town with a festive air. While Kota’s Dussehra (October 1-3) is well known for its festivities, the Jaipur Vijay Dashmi Mahotsav (October 3-4) will celebrate the victory of good over evil with verve and vigour. In the past few years, the Abhaneri Festival held between September 26 and 28 has been drawing a large number of people. 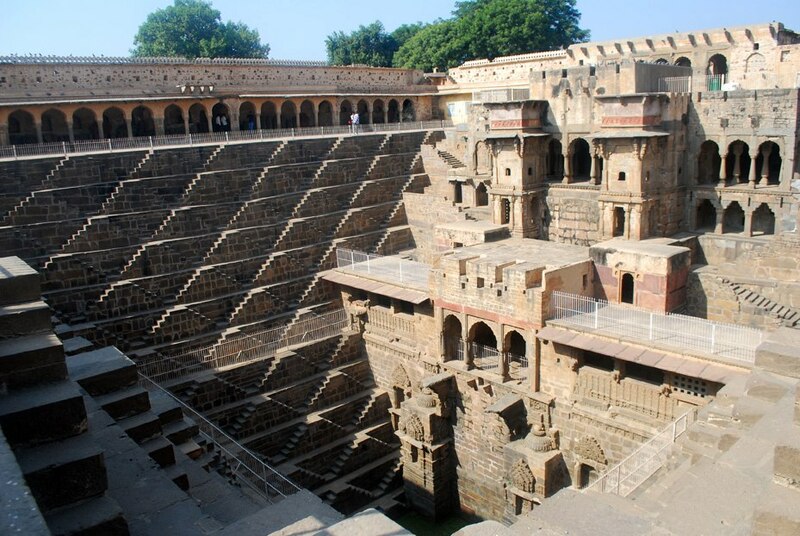 The township in Dausa district stands out for ‘Harshat Mata Temple’ and ‘Chand Baori’. More and more tourists are coming to this place every year. 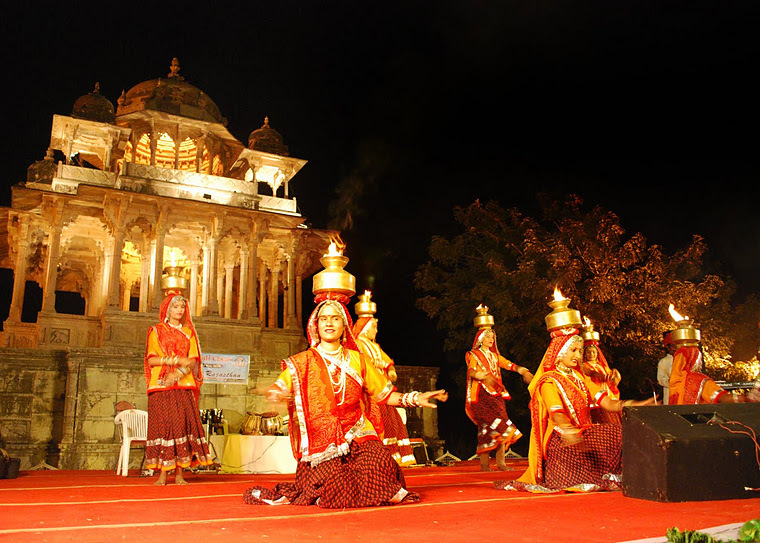 The Marwar Festival (October 7-8) will highlight the region of Jodhpur and will be celebrated at the Sun City. The Matsya Festival, to be held at Alwar from November 25 to 26, attracts a large number of tourists from Delhi as well as foreign countries. 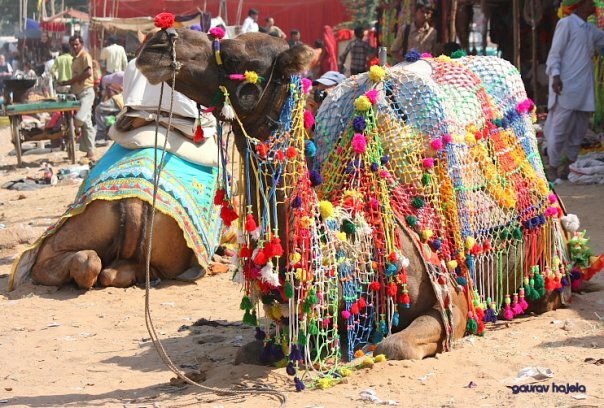 Of all the fairs and festivals held in the desert state, Pushkar Fair (October 31-November 6) is most popular. Apart from being an important pilgrimage centre, it is the venue of mammoth cattle fair. Other major events are Chandrabhaga Fair (November 5-7), the festival at Dholpur (November 7-8) and Bundi Utsav (November 9-11). “We are further streamlining organization of such festivals to make them even more alluring for tourists. Bare deserts yet vibrant streets with lively and welcoming people saying “Padharo Mhare Des”, Rajasthan- a state that actually lives up to the saying “Atithi Devo Bhava.” The Colorful festivals and regal history with magnanimous palaces and monuments telling the tales of our glorious past- that is Rajasthan!! Rajasthan attracts thousands of global tourists every year for its magnificent history, culture and colourful festivals. This year on March 30th Rajasthan celebrates its 64th Foundation Day and the Government of Rajasthan has planned a melange of cultural and classical events for the tourists as well as the citizens of Jaipur. The two-day celebrations slated for 29 and 30 March, will begin with a tourism awareness programme for special children in which the children will be taken to Albert Hall, Jantar Mantar and City Palace from 9 am to 11.30 am. 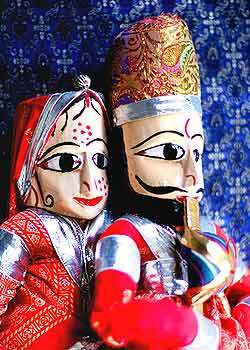 Puppet shows of the national level are being arranged in Rangaayan at Jawahar Kala Kendra (JKK) from 11 am to 12 noon on both the days. On March 29, there will be a puppet show presented by ‘Kat-Katha Art Show’ from New Delhi and on March 30 by Sudip Gupta of ‘Dolls Theatre’ from Kolkata. For the spiritual minded travelers there will be a ‘Maha Arti’ at four places of worship. These ‘Maha Artis’ will be held at Ganesh Ji Temple (Moti Dungri), Gurudwara (Raja Park), St Xaviers School Church and Mosque (Subhash Chowk). At 6 pm in the evening, on 29 March there will be a Bharat Natyam performance by Devyani, French National, based in Delhi. Organised by DOT – the event will be held at Rangayan at JKK. The classical music lovers will get to hear renowned singer Shubha Mudgal on March 29 and well known flutist Pandit Hari Prasad Chaurasia on March 30 at the Central Park from 7.30 pm onwards. For the foodies and the lover of handicrafts – there is a 10-day ‘Food and Craft Bazaar’ at the Shilpgram in JKK from March 21 to 30 March. It is being organised by Rural Non Farm Development Agency (RUDA). This bazaar will be from 3 pm to 9.30 pm. Rajasthani folk performances in the bazaar have also been arranged by the DOT. So what are you waiting for? 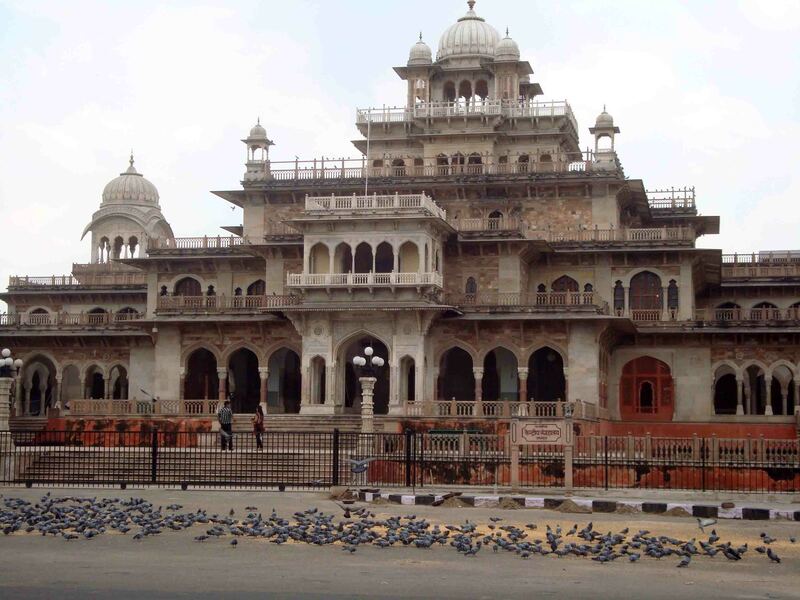 Plan your Jaipur trip around the dates of Rajasthan Divas and celebrate the spirit of Rajasthan with fervour!! Hardly a week goes without some kind of event or festival taking place in Rajasthan. From elephant festivals to religious gatherings, the Rajasthani calender is overflowing with special days, meaning you’re spoiled for choice. It’s that time of the year again when Rajasthan celebrates one festival after another with traditional pomp, gaiety and gay abandon. This month once again, the Pink City is celebrating the Deepotsav on 30th and 31st October. This is the third year of Deepotsav celebration in Jaipur . Diwali festival especially in Jaipur should, over a period of time, become as well known as the Dusshera of Kota or the Cattle Fair of Pushkar. 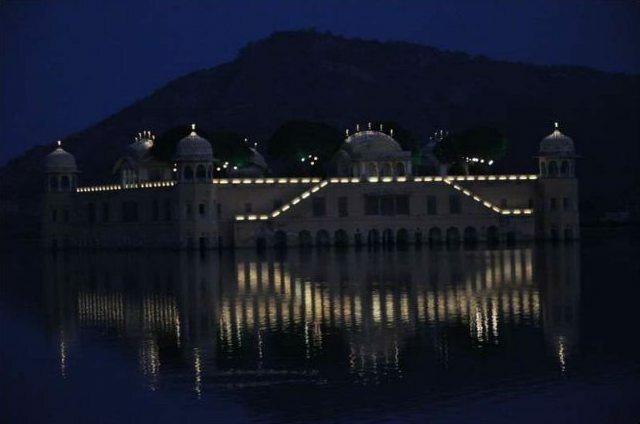 One will see folk performances, food stalls in different parts of the Walled City as well as fire crackers and lighting at the Jal Mahal Ki Paal, Anber Road, Jaipur. 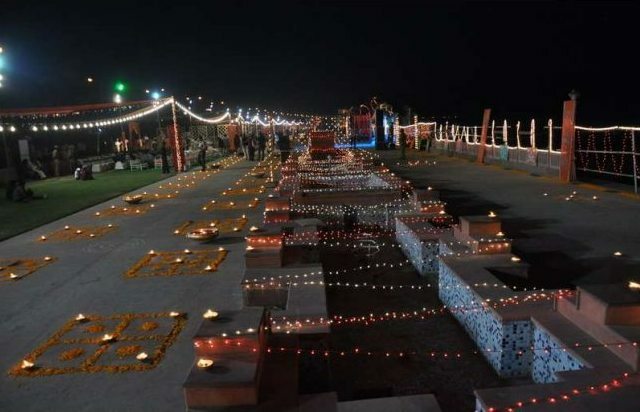 The entire area is decorated in traditional Rajasthani style on Deepawali theme with deepawali props, hangings, buntings, rangolis, mandanas, flowers, decorative illumination etc. Thousand of lamps and candles lit up the area in festive mood. Colourful and vibrant performances by the Folk artists of Rajasthan will add to the festivities , on both the days. Kalbeliya dance, chakri dance , chari dance, singing by langas , bhapang , Algoza performance are some of the hightlights of the cultural extravaganza. Attractive fireworks display would be presented as a part of grand finale. 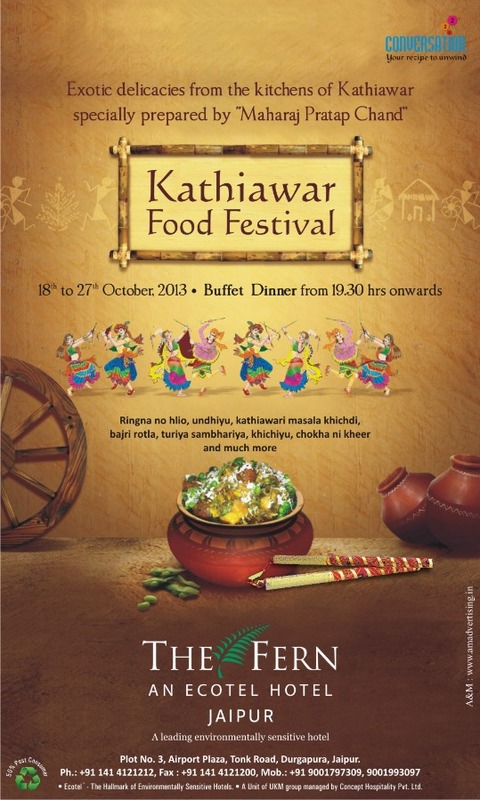 The Fern An Ecotel Hotel, Jaipur is celebrating the charismatic cuisine of Kathiawar from October 18 27, 2013 at Conversation2 The World Cuisine Cafe . Kathiawar is part of the Saurashtra region in the state of Gujarat. 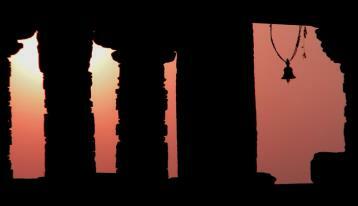 It is the cultural, religious and historical epicenter of the state of Gujarat. 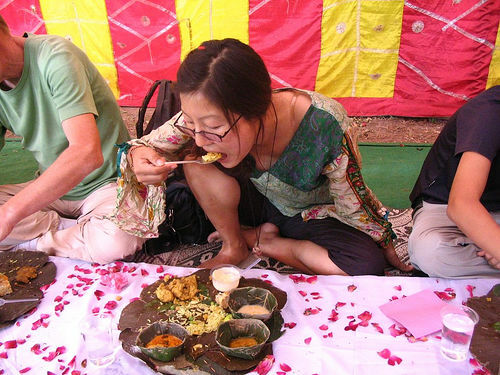 The food is a delight of this diverse region which is also named after the people who inhabit this area; the Kathiawadis. 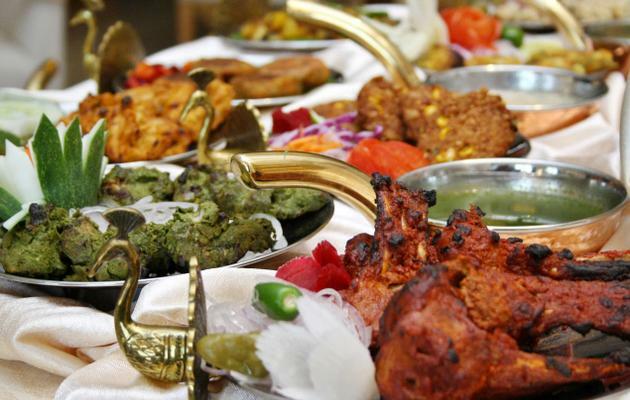 Kathiawar cuisine is basically Gujarati food that has influences of Parsee and Bohri cuisine. This is a cuisine where you will find boiled peanuts in the dal, jeera in the seasoning of every dish and a characteristic sweetness to all the dishes, thanks to a very Gujarati influence. Vatana nu oondhiya, sambhariyu shaak, bajra nu rotla, khichdi, kadi, dal dhokadi, ringan nu olo, kachori, lasaniya bataki and lots more to keep you enticed and what better to keep the festive spirits alive post Navratra, Dandiya and Dussehra ! The delicious vegetarian food on offer would be cooked by Maharaj Pratap Chand who is specially coming over for the festival. A lavish and sumptuous buffet with live cooking stations is all set to greet you between 19:30 hrs 22:30 hrs.